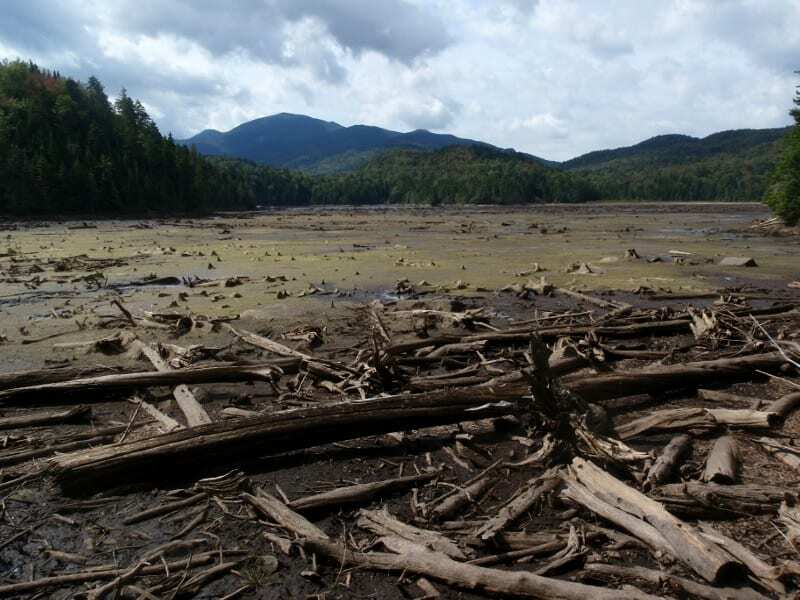 Most of Duck Hole drained after Tropical Storm Irene. Photo by Carl Heilman II. 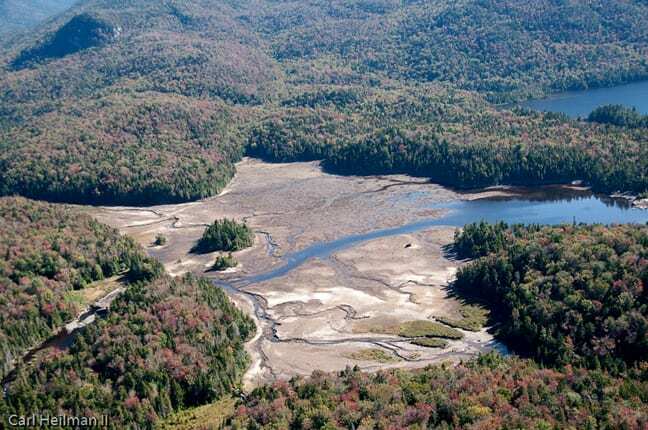 The state Department of Environmental Conservation does not plan to rebuild the dam at Duck Hole, an iconic pond deep in the High Peaks Wilderness. 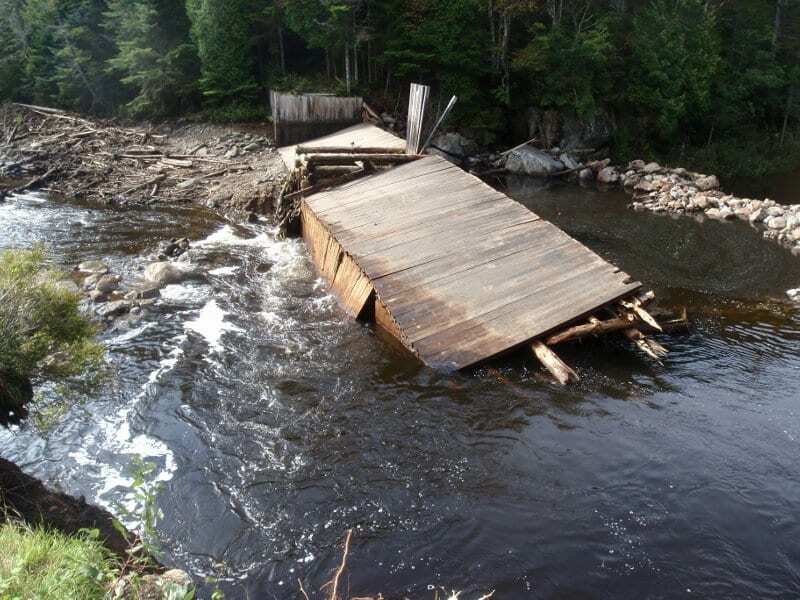 The wooden dam was breached in the flooding caused by Tropical Storm Irene in late August, draining about two-thirds of the impoundment. Even before Irene, fans of Duck Hole had been urging DEC to repair the old dam. In fact, the Explorer ran a debate on the question in its September/October issue, which was on the newsstand when the storm hit. Nestled among high mountains, Duck Hole is a favorite camping spot on the Northville-Placid Trail. The Duck Hole dam after the breach. Photo by Phil Brown. 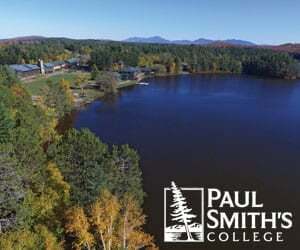 In the Explorer debate, Tom Wemett, chairman of the Northville-Placid chapter of the Adirondack Mountain Club, extolled Duck Hole as one of the most scenic water bodies in the High Peaks Wilderness. “Whether hiking on the Northville-Placid Trail or paddling and portaging from Henderson Lake (via Preston Ponds), those who arrive at Duck Hole are in awe of the stunning vistas and quiet solitude,” he wrote. After Irene, Wemett argued for the dam’s reconstruction. But DEC spokeswoman Lisa King said today that the department has no plans to repair the dam. The department’s guidelines for dams in the Forest Preserve favor removing dams in Wilderness Areas “when they become unsafe or are otherwise in need of replacement, reconstruction and/or rehabilitation.” Nonetheless, such dams may be rehabilitated to preserve fish and wildlife habitat, protect scenic vistas, or maintain a waterway’s navigability, among other purposes. Spokesmen for the environmental groups Adirondack Council and Adirondack Wild said they opposed rebuilding the dam. I did the paddle/portage trip to Duck Hole this past spring and wrote about the adventure for the July/August issue of the Explorer. 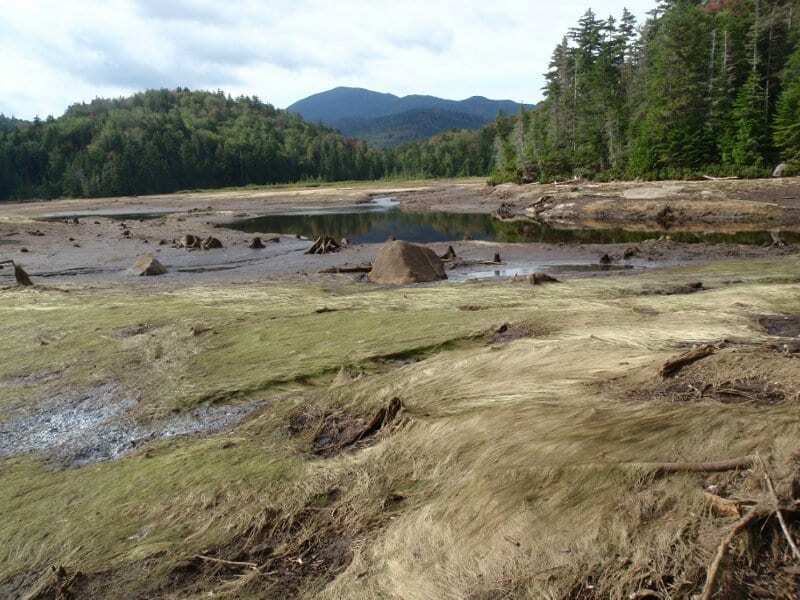 A few days after Irene, I returned to Duck Hole on foot and took the photos shown here of the broken dam and the mudflat. Adirondack guide Joe Hackett did the paddle/portage trip a few weeks after Irene and found enough water remained to paddle to the lean-tos near the dam. “Duck Hole is down, but it’s not out,” he told the Explorer after his trip. Duck Hole, the source of the Cold River, is fed by at least three streams, including the outlet of Lower Preston Pond. Over the next several years, the mudflats should be overtaken by vegetation and provide habitat for a variety of wildlife–not to mention improve the view. Mudflat at Duck Hole after Irene. Photo by Phil Brown. Should the Duck Hole dam be rebuilt? Ironic that many treasured wilderness destinations in the Adks are not entirely natural and only exist because of “man’s work” – Duck Hole, Lows Lake, Marcy Dam. 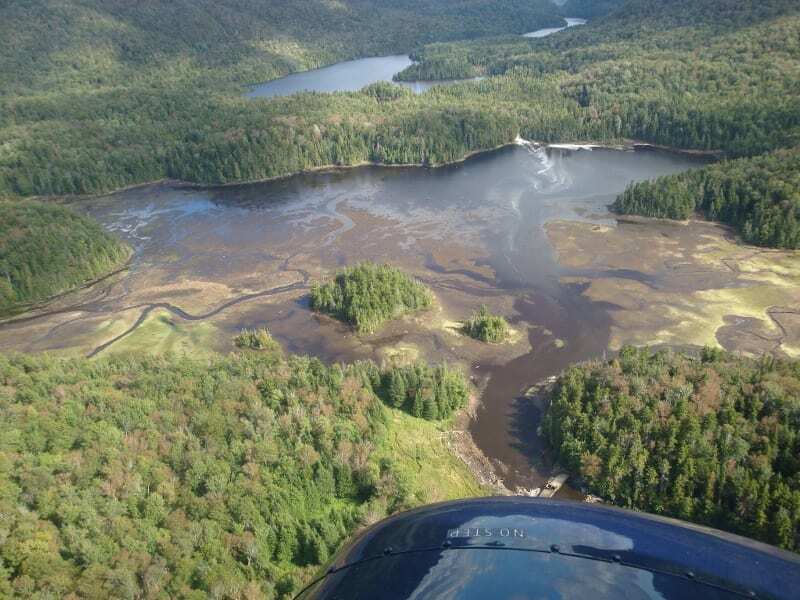 We shouldn’t be “restoring” the dam at Duck Hole. Irene has brought it closer to its natural state. 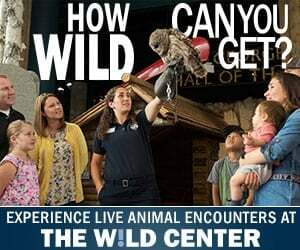 Isn’t that point of having wilderness…nothing in the State’s definition of wilderness supports rebuilding the dam. This decision makes sense. Glad I had a chance to visit this spot a bunch of times before it was erased by mother nature. Given the state of a number of these kinds of dams I suspect that we will see this more frequently in the future. Wow! The DEC following their own rules! Bravo! Notice no comment about Marcy Dam. Bet they repair that one.